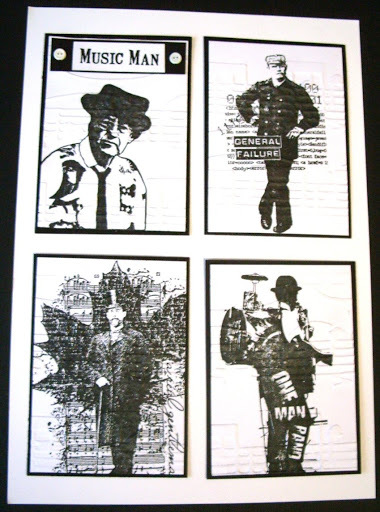 This is the black and white version of the ATC concertina. I used the Cuttlebug Allegro embossing folder on all ATCs, just to add a little texture, so it was really quick and easy. Didn’t realise this month’s was the recycling issue as I haven’t yet had my copy, but here’s a sneak preview of what I did. I also did an alternative (black and white) version, which wasn’t used, so will upload a couple of pics of that later. Oops, where’s this month going to? I’ve been doing loads of stamping, but just haven’t got around to posting any, yet. Hope to do some later this week. We had a fab Stamp Club last weekend, where Jo showed us how to make a fab flappy, stand up cardy thing – very difficult to describe, but I’ll finish mine off this week and will upload. 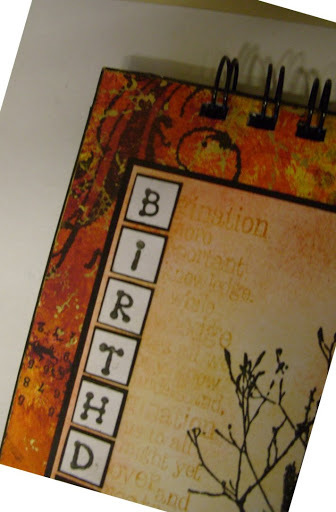 This one’s in the January issue of Craft Stamper, which should be out now, I believe. 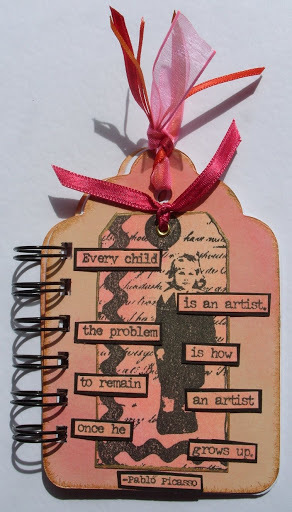 I’m BACK………..Katy’s Corner’s closed and I have a project in Craft Stamper! Katy’ s Corner is finally closed. If you’ve been one of my loyal customers (and there are many) I thank you for your support – it’s been wonderful to meet so many lovely people and there are some I will really miss. I’m now trying to piece back the bits of my life I lost while eating, sleeping and breathing Katy’s Corner over the last eight years – including finding a job or I won’t be eating, let alone buying more Craft Supplies, lol! Had a great day on Saturday, visiting Port Sunlight Stamp show and yes, I bought new stamps. What a joy to be able to buy stamps I personally like for the first time in years and not to have to work solely with the ones I sell – it was a delight, if somewhat expensive. I had a Stamping Contrasts feature coming up and was chuffed to see one of my projects in print. Since I was still in business when I submitted, I can publish it here, which isn’t the case with the ones I’m working on now – I’ll have to wait three months before I can publish those online. 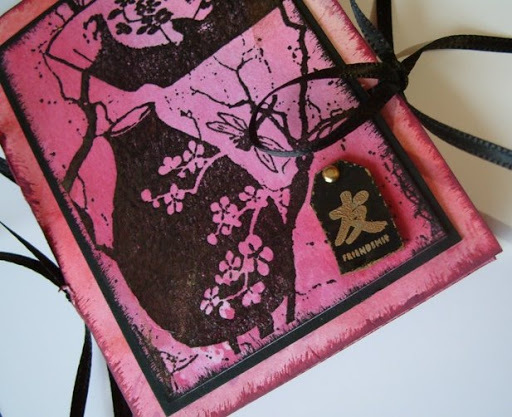 So here it is………..
It’s only simple – one of our tag book kits decorated with Adirondack dye and pigment inks, but it was one of those projects which is fun to do – I really enjoyed it! Image and words from Time to Stamp.